Harnessing artificial intelligence for biodiversity conservation: the slides! I’ve been asked to provide the slides of my talk today at the Global Change Institute. Feel free to send me your feedback/comments. Here they are! 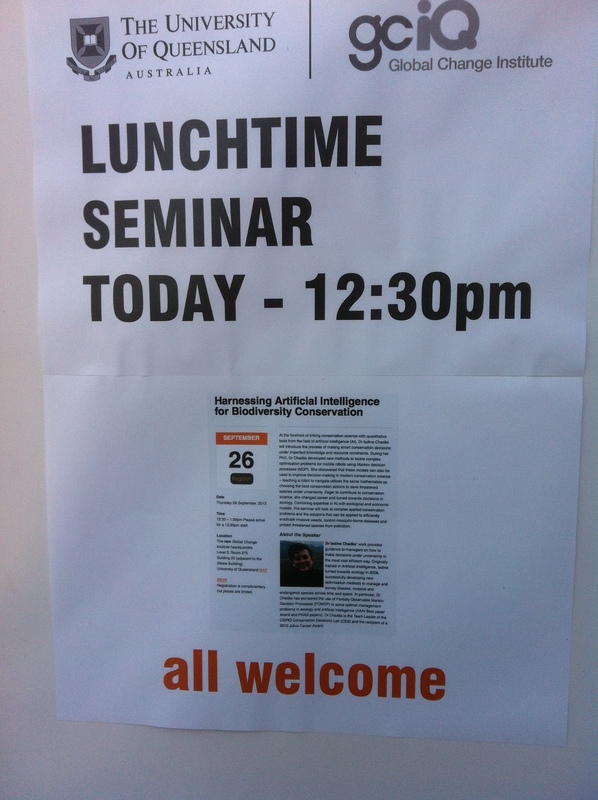 Thanks for coming to the seminar today, and thanks to Chris Brown for inviting me. Next Next post: Apply now: 3-year postdoctoral fellow on optimizing adaptive management!